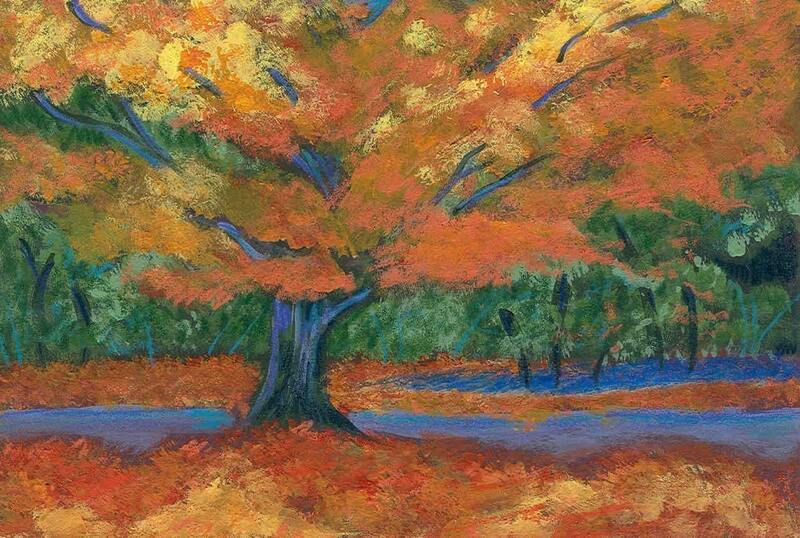 This is a copy of a miniature painting I did showing the wonderful, blazing colors of Autumn. My favorite time of year! Each notecard measures approx 4x5 and comes with a white envelope in a protective cello sleeve. This would make a nice card for Thanksgiving as well as a friendly hello! Happy Autumn! I was pleased to receive such a beautiful well-made card.